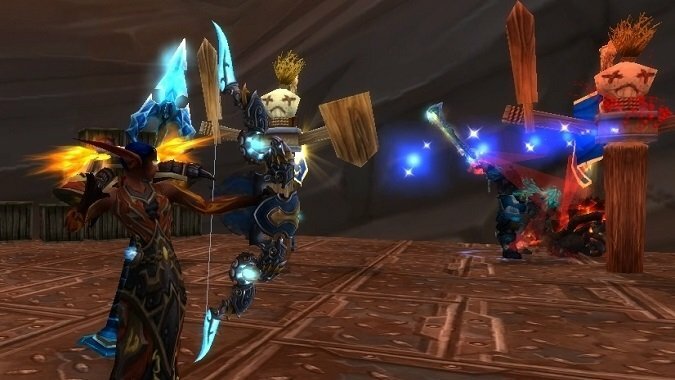 In a recent live Q&A, Ion Hazzikostas made a controversial announcement about loot in raids: Master Loot will no longer be an option. All loot moving forward in Battle for Azeroth and beyond will be distributed via the Personal Loot system. A lot of players were upset by this decision. After all, it has been the right of raid leaders and guild officers since WoW launched to distribute raid loot exactly as they see fit. The Personal Loot system takes all of that decision making out of their hands. 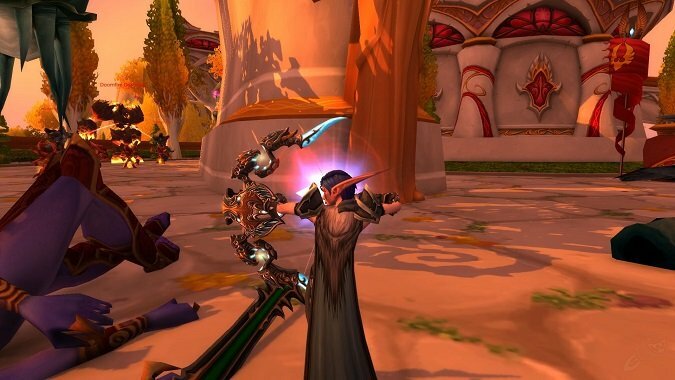 There are arguments to be made on both sides, but no one can claim that this won’t fundamentally change the guild raiding experience for many players. Particularly those in top-end progression guilds. Every loot system that exists right now will disappear in favor of a randomized disbursement. For those cheering or mourning the impending death of Master Loot, let’s all take a trip back to ten years ago, to one of the most explosively controversial Master Loot decisions of all time. In the summer of 2008, the legendary bow Thori’dal, the Stars’ Fury, dropped for a guild called Vicarious on Area 52-US. There were two Hunters in the raid. Vicarious Master Looted the bow to a Rogue. Before we get into why this happened, let’s talk about the bow itself. It dropped from Kil’jaeden, the final boss in Sunwell Plateau. With only one, extremely intense, raid difficulty (let’s call it “Mythic+, Attunement Version” difficulty), it was no easy feat to earn this bow. Thori’dal at the time was one of the most unique weapons in the game, largely for its equip bonus. Equip: Thori’dal generates magical arrows when the bow string is drawn. Does not use ammo. Back then, those last four words meant everything to a hunter. At the time, every shot you took as a hunter required bullets or arrows. There were different kinds with different DPS modifiers. Most hunters used cheap ammo for farm bosses and better but far more expensive ammo for progression. It was a significant investment of gold for every raid night. Equipping Thori’dal meant you no longer had this expense, ever. Instead of shooting regular ammo, Thori’dal shot “magical arrows.” The bow came with a nifty visual effect for those shots that upped its sexiness level through the roof. So not only did a hunter get to skip the cost of buying ammo, they also got an entire bag slot’s worth of inventory back. A few weeks later, Vicarious gave Thori’dal to a rogue named Analogkid. Analogkid, incidentally, already had both Warglaives of Azzinoth. A player named Rentaaki described the incident on the official forums, and all heck broke loose. Criticism of Vicarious (for giving the bow to a rogue over a hunter, any hunter) and Analogkid (for actually accepting the bow) was swift and merciless. Forums on every WoW website blew up with posts about the stupidity of Vicarious, the greed of Analogkid, and even indictments of progression raiding as a whole. Rogues and Warriors at the time could equip ranged weapons, and they did benefit from the stat bonuses of such weapons. 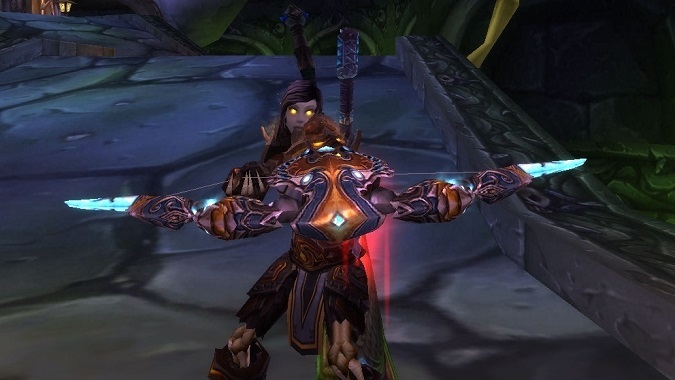 So the bow wasn’t completely useless to a Rogue, just … not anywhere near as useful as it would be to a Hunter. 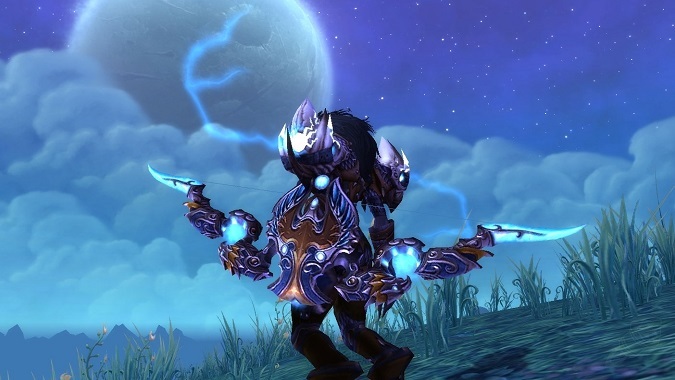 As an aside, Hunters could also equip melee weapons back then as any spec, thus leading to the saying, “all loot is hunter loot.” The Warglaives could only be equipped by a Rogue or a Warrior, but Thori’dal had no restriction to the Hunter class. 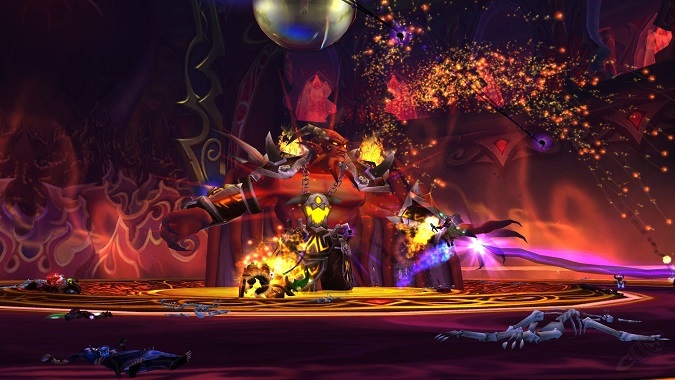 Raid leaders do have discretion to distribute loot as they see fit. I’d like to believe that the guild has a system in place that justifies the distribution of loot. 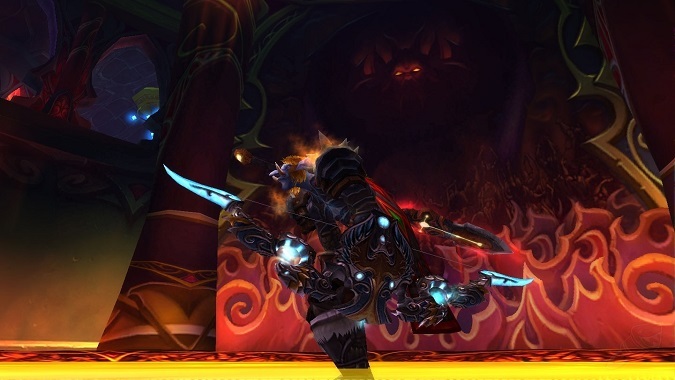 If the guild continues raiding, they may see Thori’dal drop again. It seems to me that the chances of getting another of these beauties to drop would be increased by giving it to Hunters first and then Rogues and Warriors. It’s not my guild, and they can run it any way they want. For now, I think I’m going to be sick. That last sentence was the sentiment of many WoW players, even non-Hunters. Though I can’t speak for Kharhaz on this matter I can see why he would want to give Analogkid priority on this over Tums and Zzerg. Analogkid has been raiding with us since we rerolled here and were doing kara and gruuls lair. He has had an excellent attendance and has given his best using full consumables alot of the time, even on farm content throughout all of raiding from t4 to sunwell and in this respect deserves loot, especially legendaries over people who transfered to our guild after we killed pre-nerf M’uru, a fight which i might add that was very trying for our guild. Few people accepted this reasoning. After all, Analogkid already had the Warglaives as a reward for his loyalty. It would have helped the guild as a whole to give a hunter that bow. A lot of people put the blame on Analogkid. They said he should have passed the bow to the hunters. After all, offering him the bow was a gesture of loyalty. The guild leader wanted him to feel like the guild would bend over backwards for him. They wanted him to feel like they would do everything possible to reward him for sticking with the guild’s raid team through good times and bad. If Analogkid hadn’t accepted the gesture, if he had just said, “No, that’s silly — give it to a hunter,” then this controversy never would have happened. But he didn’t — he took it. He equipped it. He kept it. Although I agree that he shares some of the blame here, I feel a little bit bad for him, too. We’ve all been in these situations, where suddenly something amazing, something you didn’t even know you wanted, is offered to you. It’s like when you’re sitting in your office cubicle and someone walks in with the last slice of pizza from a lunch meeting. You just ate lunch. You don’t need that slice. Plus, your co-worker had to skip lunch, and they could really use that leftover slice right about now. But there it is. It’s right in front of you, yours to have, no questions asked. And now you want pizza more than you ever realized that you could. So you take it and eat it. I feel like the heat of the moment got to Analogkid a little bit, and the allure of that orange text in a time (unlike Legion) when it was so incredibly rare. He said yes before he really thought about what it would mean. After all, if he were really all about helping the guild and the raid team, he would have passed Thori’dal to one of the Hunters. You also have to consider the Hunters’ reactions. Even if Analogkid had passed the bow to one of them, they still witnessed the guild leader offer a legendary bow to a rogue right in front of them. If anything would make me question whether I wanted to stay in a guild, it would be that. So the damage had already been done. The Hunters were going to be angry no matter what at that point, so why not take the bow anyway? Regardless, the WoW community came down on Analogkid pretty hard for eating that slice of pizza. I feel like if he could do it over again, he probably would give up the bow.